If you have ever felt self-conscious about tooth discoloration, you owe it to yourself to schedule an appointment with a teeth whitening dentist. If you haven’t been able to whiten teeth enough with toothpaste and strips, you may want to consider Zoom teeth whitening. Zoom noticeably whitens teeth in one appointment so you can smile with confidence. Continue reading to learn the 3 reasons you should ask your cosmetic dentist about professional teeth whitening. Looking for the best way to whiten teeth? Schedule an appointment with our teeth whitening dentist to learn if Zoom is right for you. Like the name suggests, Zoom whitening gives you noticeably whiter teeth within an hour. 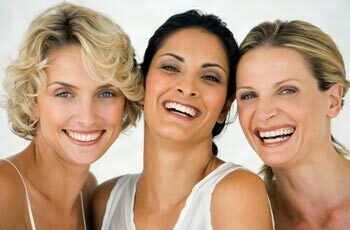 If you have yellowed or stained teeth, it can be hard whitening your smile on your own. Instead of waiting weeks for whitening toothpaste to work, ask your dentist about other teeth whitening options. If you have slight tooth discoloration, our dentist will paint a whitening varnish on the surface of your teeth before applying a quick-drying sealant. After 30 minutes, you’ll be able to brush or wipe away the varnish to reveal a whiter smile. If you have yellow teeth and deep stains, your dentist may need to break the teeth whitening procedure into three 15-minute sessions. These sessions will be back-to-back in one appointment so you can leave the dentist office smiling with confidence. First, your dentist will cover your lips and gums to protect them from the whitening gel. Once your mouth is ready, the gel is applied to your teeth and activated with a UV light. The whitening gel contains hydrogen peroxide, which oxides under the UV light to lift tooth stains. After your appointment, your dentist will give you a teeth whitening kit to manage any residual pain and maintain the look of your smile from the comfort of your own home. Teeth whitening at home is not only convenient, but easy to maintain. Whether you can try teeth whitening at home will depend on the severity of tooth discoloration and how much time you want to spend. Are sensitive teeth preventing you from getting the white smile you’ve always wanted? The varnish and gel used during Zoom teeth whitening is specially formulated not to irritate your teeth and gums. While you may experience what we call “zingers” or brief flashes of pain, many of our patients are willing to experience temporary discomfort for whiter smiles. After the procedure, your dentist will give you a Relief ACP Oral Care gel syringe for any residual pain. You may also take over-the-counter pain medications to reduce pain. Keep in mind that one person’s bad experience with Zoom doesn’t predict how you’ll react. Each person has a different pain threshold. If the pain becomes too much, let your dentist know so they can stop or work at a pace that’s comfortable for you. Sarah Palmer DDS and Amy Harmon DDS are dedicated to helping you achieve your best smile by offering Zoom teeth whitening and other cosmetic dentistry services. To schedule an appointment with one of our Grandville teeth whitening dentists, call (616) 534-0080.